Stringing a Quartet Together: A Methodology for World Literature? Peter Hitchcock. 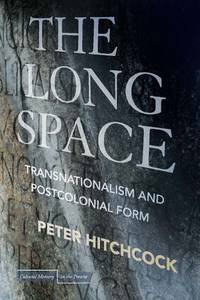 The Long Space: Transnationalism and Postcolonial Form. Stanford University Press, 2010. 295 pp. Postcolonial writers, it seems, can’t put a good book down—especially when they are writing it themselves. Trilogies, tetralogies and novels in series are features of postcolonial writing from the Caribbean to Indonesia, and Peter Hitchcock sets out in The Long Space to ask why this is. Does the form of the novel in series have a particular affinity with postcolonial or transnational content? How does a writing process that unfolds over time reflect and challenge the temporality of colonialism and its cognates? These questions are the backbone of Hitchcock’s book, but they support a more exhilarating and innovative set of questions about methodology in the study of “world literature.” How can we read four novelists (from Guyana, Somalia, Indonesia and Algeria) without doing an injustice to their differences? What scale of reading must we adopt when reading for the world? Hitchcock’s ambitious new book both asks these questions and tries to provide a model through which to answer them. It is one of a number of recent books that engage substantially with the task of reading globally. Bernhard Schoene’s The Cosmopolitan Novel (2010) and Rebecca Walkowitz’s Cosmopolitan Style (2007), for example, encompass similarly breath-taking sweeps of geographical territory. Hitchcock’s optics are somewhat different, focussed as they are not on cosmopolitanism, but on the “long space”: a formal innovation of the postcolonial, transnational novel in series. Appropriately for a book that ranges across continents, the “long space” is a baggy term designed to contain a multitude of possible characteristics and effects that manifest differentially across the globe. The term is not, for all that, a night in which all cows are black. The long space is characterized by a sideways glance at the spaces and times of modernity, colonialism, nationalism and globalization. The process of writing itself is implicated in this production of alternatives: “Writing takes time, but in transnational trilogies and tetralogies, duration in dynamic place is a crucial chronotope of decolonization, one that must claim time differently to narrate the fraught space between more obvious signposts like Bretton Woods and Bandung” (2). Writers of extended postcolonial narratives, in their choice of form, produce alternative temporalities, in which the high-political markers of global change are either absent or experienced differentially. Of course, Proust’s À la recherche du temps perdu or Beckett’s trilogy of novels also invoke and enact a “long space” of writing and memory, and Hitchcock acknowledges that all extended narrative claims time in a particular way, but he makes a special case for the long space as “bound to the concrete predicaments of postcolonial narration as transnational critique” (2). The long space is, above all else, a Bakhtinian chronotope—a conjunction of time and space specific to a particular form; in this case, the form of the postcolonial novel. “The long in long space,” writes Hitchcock, in one of his many definitions of the term, “is the irruption of local history into the truncated temporalities of globalization and transnationalism in their hegemonic formations” (9). It is the disruption of global narrative time by the concerns and needs of the local. Hitchcock’s notion of “long” is drawn from Raymond Williams’ The Long Revolution, where long “usefully posits a project rather than a historical description” (10). In other words, long does not refer to time in the conventional sense, but to a secular form of messianic time, defined by political aspiration. The space of the long space, on the other hand, is inspired in part by Said’s relentless critique in Culture and Imperialism, which continuously links the spatial to the political. Hitchcock both admires the critical project of contrapuntal reading, and also offers the possibility of the long space as an instance of a postcolonial practice of “contrapuntal writing” (14). The theoretical introduction to the concept of the long space is the most provocative section of the book—here we sense the author’s gift for inspiring polemic—but the hard evidence for the long space is traced in four chapters, one each dedicated to Wilson Harris, Nuruddin Farah, Pramoedya Ananta Toer and Assia Djebar. The differences separating these novelists are many and, thankfully, Hitchcock doesn’t attempt to draw them into strained relations of similarity. What they do have in common, and what gives Hitchcock the warrant to write of them together, is their transnationalism. The novels that he writes about “are not national novels because, even when they explicitly address the critical form of nationhood, the primary axis of narration favors a chronotope irreconcilable with the nation that is its putative object” (30). On this basis the comparison can proceed. I will pass quickly over the argument of the chapters, for Hitchcock deserves to surprise the reader himself with his fresh and nuanced readings. Chapter 4, on Pramoedya’s Buru Quartet, is in many ways the flagship chapter of the book. It is a careful, deeply informed discussion of the archive of Pramoedya’s writing. No reference is made to Ann Laura Stoler’s excellent work on the archive of the Dutch East India Company, Along the Archival Grain, but Hitchcock’s attention to the fractures and fissures of official and personal memory found in the archive of Pramoedya’s novels has some quite fruitful connections to Stoler’s work. He does not go so far as to say this—indeed, he is quite muted on the subject of archive overall, even as he writes on archival novels—but this chapter suggests that colonial archives themselves might be a fascinating subject for chronotopic analysis. This chapter is followed by a reading of Assia Djebar’s disintegrating and impossible Algerian Quartet. The unfinished quartet, Hitchcock argues, may never be finished because the formal demands of a tetralogy might simply be too much for the eruptive, disruptive history of Algeria. The chapter covers a great deal of Djebar’s complex intertextuality, but Hitchcock pays particularly close attention to the figure of Jugurtha, the second-century BCE Numidian/Algerian leader whose revolt humiliated Rome. Jugurtha’s anachronous appearance in Djebar’s writing is an instance of the deep time of anticolonial revolt, the long memory of decolonization, which will continue to resist the amnesia of colonial modernity. This chapter, too, seems to have been a labour of love for Hitchcock—his closeness to the material is palpable. In Chapter 3, a reading of Nuruddin Farah’s Blood in the Sun trilogy, Hitchcock captures and rethinks a recurring issue in scholarship on Farah: that “the personal must do double duty as character and symbol” (115). Emboldened by the title of one of the novels in the trilogy, Maps, Hitchcock’s reading of Farah rests on the question of scale so crucial to world literature, to mapping, and to this book: how can we both do justice to intimate space and at the same time allow for the distant view of analysis? He has an answer, in one sense: “Farah’s feminist critique in Maps scales up the metaphor of Misra’s miserable life as a comments on the Somali national ideal rather than bringing this mapping down to size, to the scale of difference that is the country’s very possibility” (101). I am reminded of the innovative scaling of what Sheldon Pollock et al. call “cosmofeminism”—a construction of the world that begins with the intimate sphere, untrammelled by the global, and works outwards (584). If Farah can do this, Hitchcock argues, it is because of his “outsideness,” or “exotopy,” which makes his critique of the nation possible. Finally, in the second, and perhaps most isolated, chapter of the book Hitchcock writes about Wilson Harris’s The Guyana Quartet. The chapter is a self-contained analysis of Harris’s return to the epic tradition, in a reclamation of a “living open tradition” that can transgress and redefine the boundaries of the time of the nation (47). Harris’s form is not, as Bakhtin wrote of epic, blocked by novelization; it questions the time of novelization. “A variety of times,” writes Hitchcock, “indigenous, exploratory, national, Gnostic—both fracture and suture Harris’s text” (88). The time of the novel is too short, too modern to capture the deep time of postcolonial life—only the epic has the historical sweep and feeling needed to represent the time of Guyana. The geographical breadth of these chapters is dizzying, and the scale at which Hitchcock writes is daring, yet the four chapters on postcolonial authors are oddly conventionally ordered. Each moves through the authors’ works in chronological order, and the spaces and histories of the four authors are kept separate. This is somewhat disappointing given the audacious sweep of Hitchcock’s lens—the long space is, after all, defined by transnationalism, by transgression and border crossing. But this is not a mistake, nor is it the result of a lack of imagination. The Long Space consistently foregrounds problems of scale in both postcolonial writing and world literature. How can we both attend to global history and yet define and defend an alternative sense of time and space that resists the flows of capital that make global history ever more possible? Hitchcock’s range and choice of subjects clearly place him in conversation with current trends in world literature, however that body of literary and scholarly writing is defined. Perhaps the clearest polemic in the book is directed against the proponents of world literature as a reading practice. We are all, by now, familiar with the terms of the debate: Hitchcock quotes Franco Moretti’s dictum that “the way we imagine comparative literature is a mirror of how we see the world” (7). An attention to world literature might amount to recognition, or celebration, of an already globalized world. Hitchcock admires the transnationalism of David Damrosch’s definition of world literature as a “subset of the plenum of literature,” which circulates beyond its original site of meaning (32), and also the situatedness of Damrosch’s reading practices. By contrast, Moretti emerges as the villain of the piece. Hitchcock is astute on the weaknesses of Moretti’s method, and follows others in pointing out that his systematic approach “alludes to the cultural history but not the difference in it, which is precisely what enables the analysis to proceed” (35). His response to Moretti is at times caustic, and comes in the guise of sparkling aphorisms: “world cancels the literary in world literature for an outside of graphs, maps, and trees” (38). The social-science approach to literature, it seems, is unable to grasp what Derek Attridge calls the “singularity of literature”, its status as event, to which Hitchcock is very much dedicated. The question is one of scale—the singularity of the literary event is lost to view if we try to aggregate events together to discern patterns. On the whole, the clinical dismantling of Moretti speaks to an anxiety of influence. Hitchcock tries, and succeeds, in this book to shuttle back and forth between world chronotopes and intimate chronotopes, simultaneously producing distant and close reading. The effect can be somewhat jarring at times, but this experiment in methodology is brave. His engagement with world literature is vigorous and thoughtful, but the trenchant response to Moretti seems necessary only to differentiate two somewhat similar projects that differ more in scale than in intention. These two projects can, and do, happily coexist in the world republic of literary criticism. Hitchcock’s book is an outstanding, provocative contribution to the fields of postcolonial literature, novel theory and world literature. It is also one of those rare scholarly books in which the voice of the author, his passion and his sense of humour, are on display, despite a writing style that can sometimes overwhelm. This is a minor quibble, for the real force of this book lies in the clear striving for a new vocabulary of reading that will allow us to take the global scale into account, and yet retain a strong sense of the particularities of alternative spaces and times in the still decolonizing South. The project both describes and enacts a contradiction, which is a hallmark of the very finest scholarship. Attridge, Derek. The Singularity of Literature. London: Routledge, 2004. Print. Pollock, Sheldon, Homi K. Bhabha, Carol A. Breckenridge, and Dipesh Chakrabarty. “Cosmopolitanisms.” Public Culture 12:3 (2000): 577-589. Print. Said, Edward W. Culture and Imperialism. London: Vintage, 1994. Print. Schoene, Berthold. The Cosmopolitan Novel. Edinburgh: Edinburgh University Press, 2010. Print. Stoler, Ann Laura. Along the Archival Grain: Epistemic Anxieties and Colonial Common Sense. Princeton: Princeton University Press, 2010. Print. Walkowitz, Rebecca. Cosmopolitan Style: Modernism Beyond the Nation. New York: Columbia University Press, 2007. Print. Williams, Raymond. The Long Revolution. Toronto: Broadview, 2001. Print. Cóilín Parsons is a Lecturer in English Literature and an Associate Research Fellow in Archive and Public Culture at the University of Cape Town, South Africa. He earned his PhD in English and Comparative Literature at Columbia University in 2008, and has published on Irish literature, postcolonial theory and space. He is working on a book manuscript titled Maps to Modernism: Cartography, Space and Modern Irish Literature.